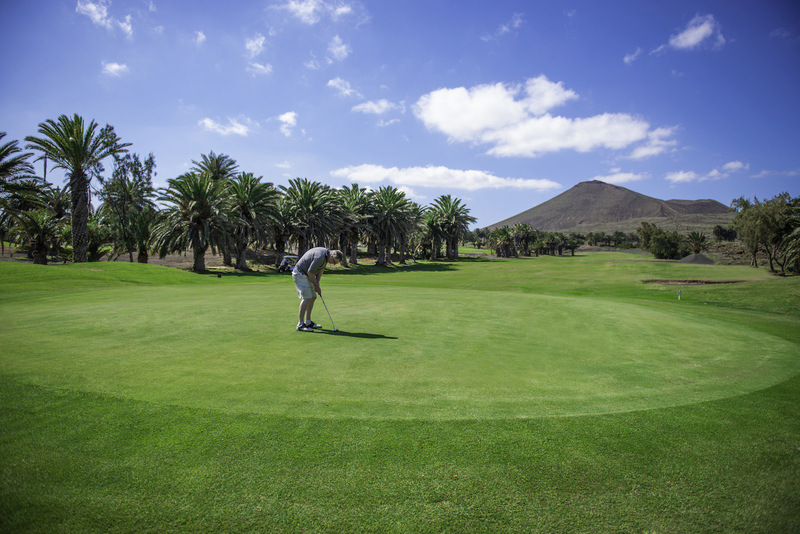 Costa Teguise golf course lies at the foot of an old volcano and has breathtaking views of the Atlantic Ocean. 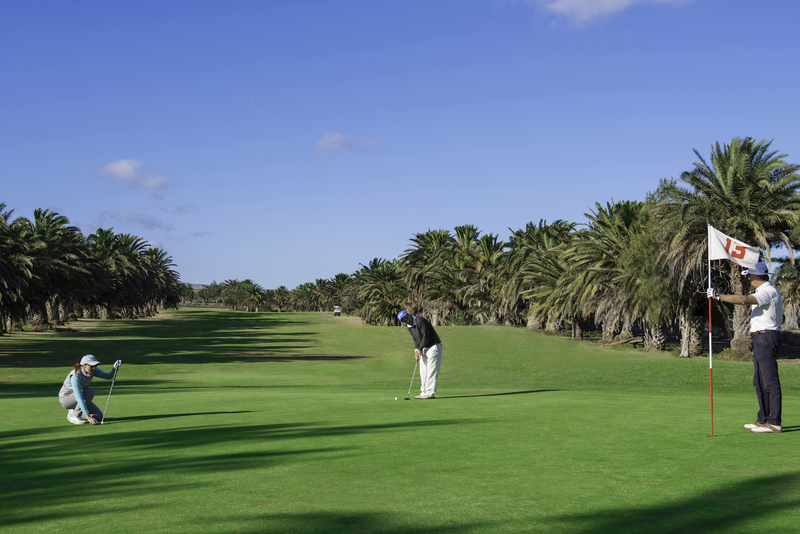 This 18-hole course, which was designed by British landscape architect John Harris, was built in 1978. 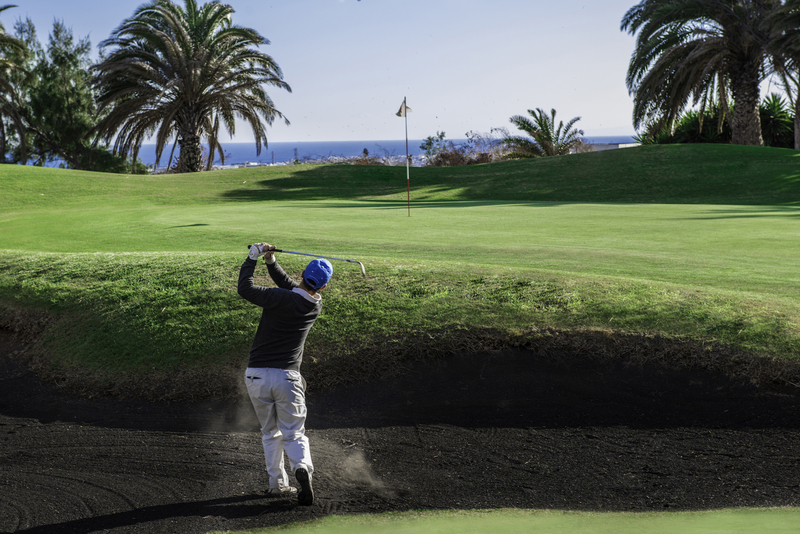 This is a fantastic course, not only because of its design but also thanks to the excellent condition in which it is kept all year round. 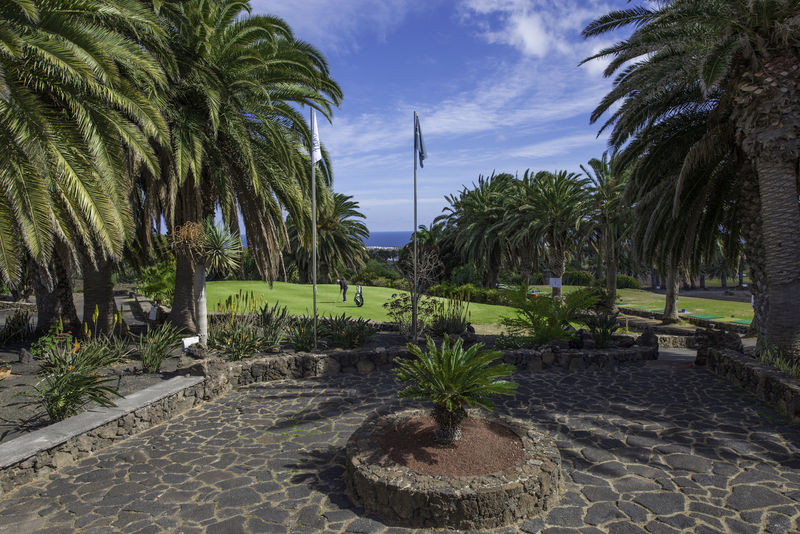 The course runs along the side of an old volcano, set within an inspirational landscape of lava, cacti and palm trees. 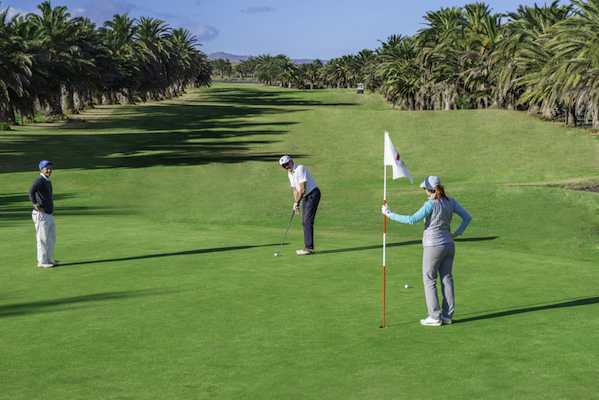 The course is designed to be both smooth and varied. 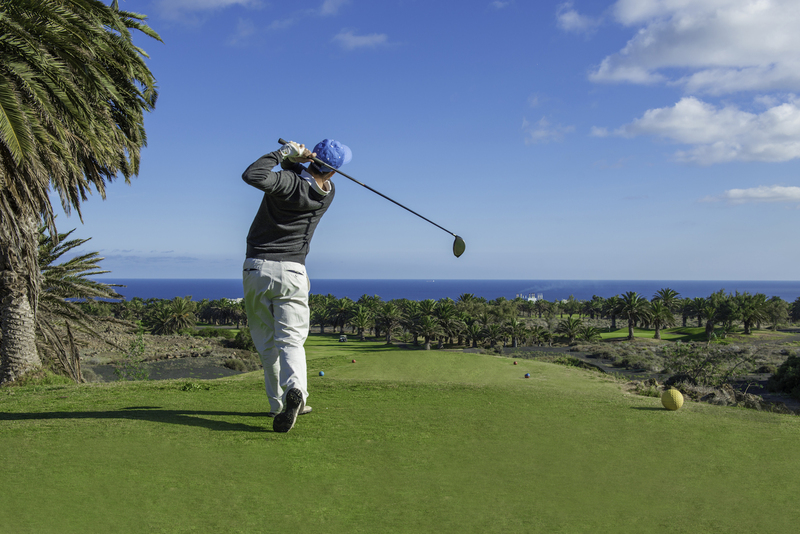 Its numerous doglegs stimulate players and require them to bring all clubs into play. It even represents a challenge for professional players, whilst offering an attractive and enjoyable game for those of more modest skills. 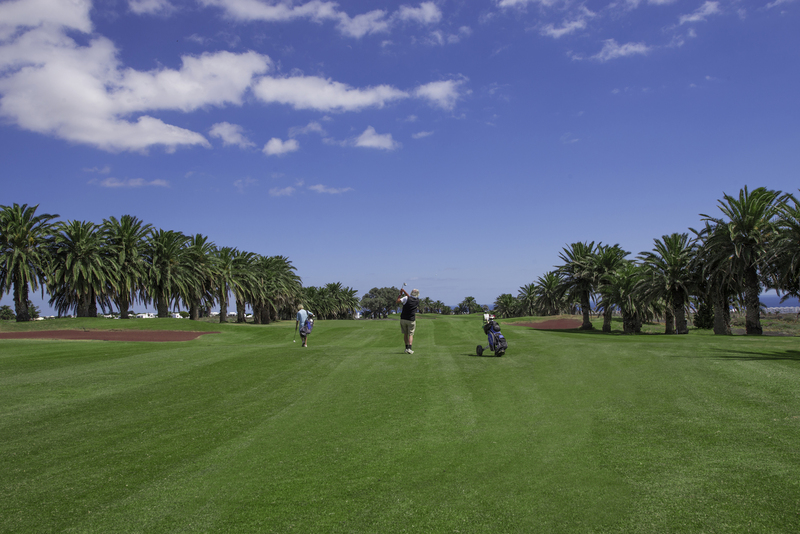 The fairways are surrounded by over 3,000 palm trees. 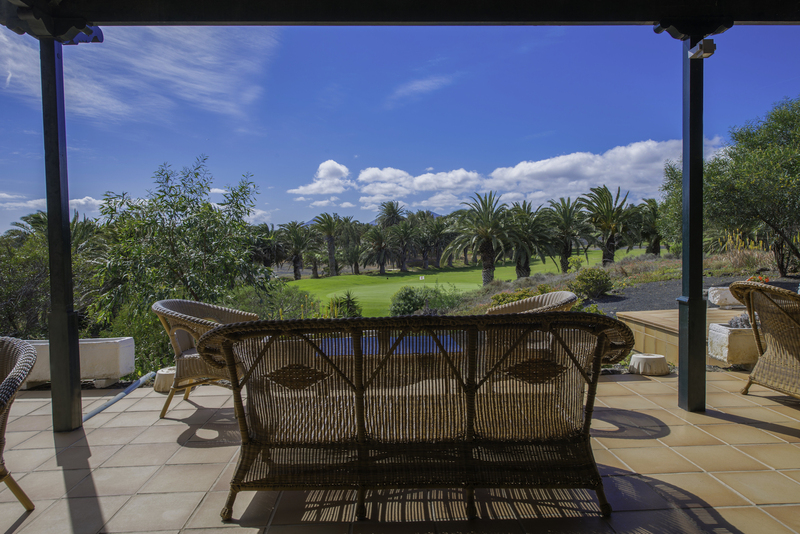 In addition to its privileged location, it benefits from a warm and pleasant climate all year round, which is tempered by a sea breeze from the island’s almost constant trade winds. 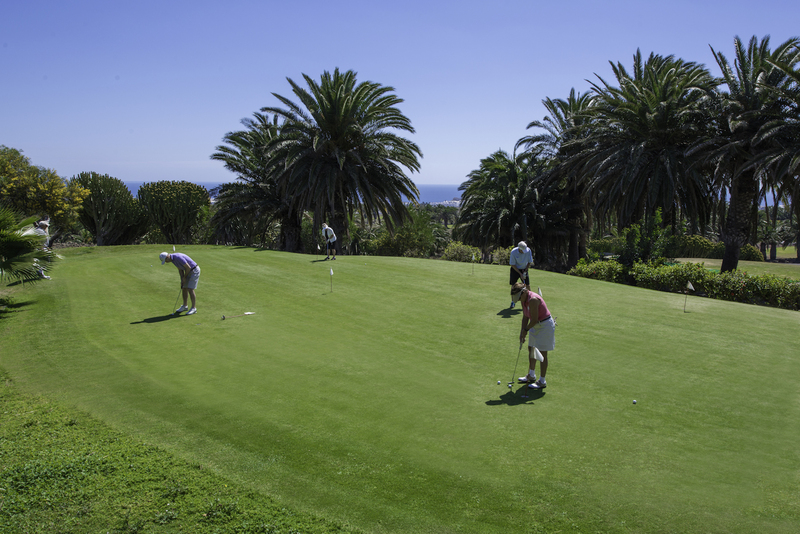 Club house, reception and pro shiop, caddy master, men’s and ladies’ changing rooms, locker hire, restaurant-bar, café, golf school. Club hire, trolleys, buggies, driving range, pro-shop and club storage.